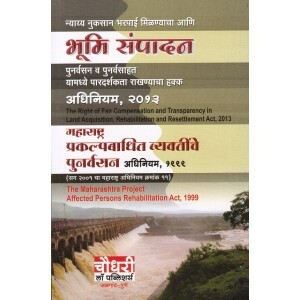 This book contains the Maharashtra Land Revenue Part - V in Marathi..
300 Yojana (Marathi) Government Funding Schemes for NGOs .. 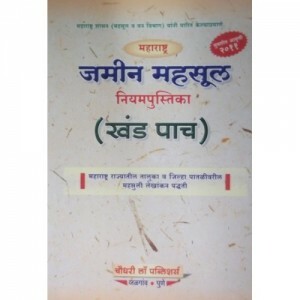 This is an excellant book on The Constitution of India in Marathi. It has all the latest (97th) A.. This book contains the Maharashtra Civil Services (MCSR) Leave Rules, 1981 in Marathi.. 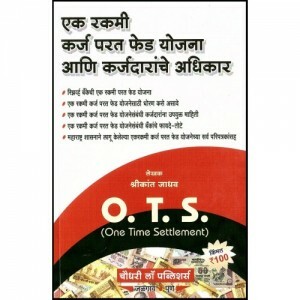 This book contains One Time Settlement Sceme of the Reserve Bank of India .. Contents: Lands Non-Agricultural Use. Land Survey. Adivasi Act. R.. 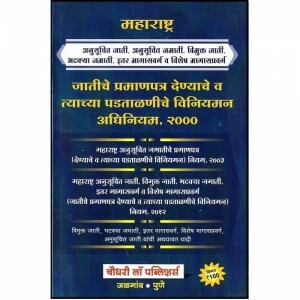 This book contains the (MLRC) Maharashtra Land Revenue Code Part - I in Marathi. .. 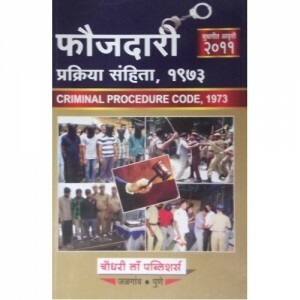 This book contains Co-operative housing Society Registration, Deemed Conveyance, Redevelopment of..
Table of Contents: Complaint, Arrest, Custody and Bail [ Marathi] Along W.. Contents: Government Development Organisation schemes. Agricultur Relat.. Contents : Guidence Book For Women Self- Help Group. How to establish Self-he.. 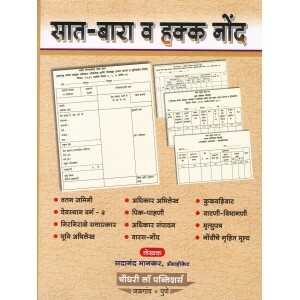 This book contains the details about the various developmental schemes formulated by the governme.. Contents: Maintenance Related General Information. Application Samples. .. Contents: Complete Information About Legal Constitutional Hindu Marriage. Applicati.. Contents: Hindu Women Earnings Rights. Will. Distribution Share&n..
Household Distibution Provisions. Important Decisions and Notes. Land Revenue Act..
Law of Execution of Decree (Marathi) .. 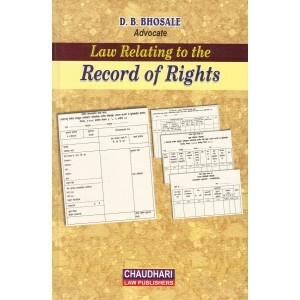 The Bombay Public Trust Act, 1950 (Marathi) ..
Maharashtra Civil Services ( Conduct and Discipline and Appeal Rules, 1979 (Marathi) ..
Maharashtra Civil Services General Conditions of Service Rules, 1981 (Marathi) ..
About the Book; Chaudhari Law Publisher's Maharashtra Land Revenue Code [MLRC] Part - III..
मुंबई महानगरपालिका अधिनियम, १९४९ राज्य निवडणूक आयोगाने दिलेले आदेश, निदेश व परिपत्रके य.. The Bombay Prevention Act, 1947 (Marathi) .. 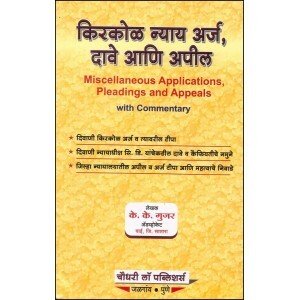 Contents: The Maharashtra Tenancy and Agricultural Lands ( Vidarbha Region) Act and.. Contents : The Maharashtra Tenancy Act. The Maharashtra Agricultural Lands Ac.. Contents: Transfer Of Land. Wills. Inheritance. Partition. .. 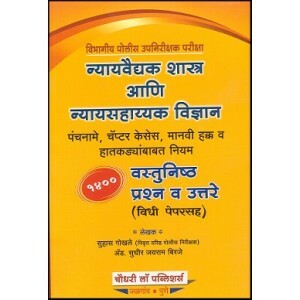 Contents: The Maharashtra Right Of Children to Free & Compulsary Educat..
Chaudhari's The Right Of Children to Free & Compulsary Education Act, 2009 [Marathi] Edition-.. 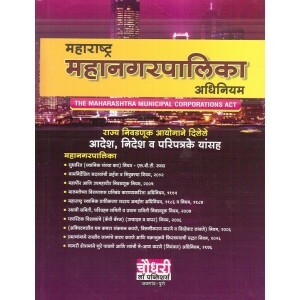 This book contains the (MLRC) Maharashtra Land Revenue Part - IV in Marathi. ..